All students majoring in economics at Wellesley are required to take ECON 203: Econometrics, with 3 sections offered every semester. A research and instruction librarian and instructional technologist have long been involved in supporting this course. In Fall 2014, with enthusiastic agreement from the faculty, we changed in-class instruction to better prepare the students to tackle their semester-long group projects. In the library session, students would be asked to consider an existing study and figure out how and why the author constructed it in a particular way. In the instructional technology sessions, students would participate in small group exercises. 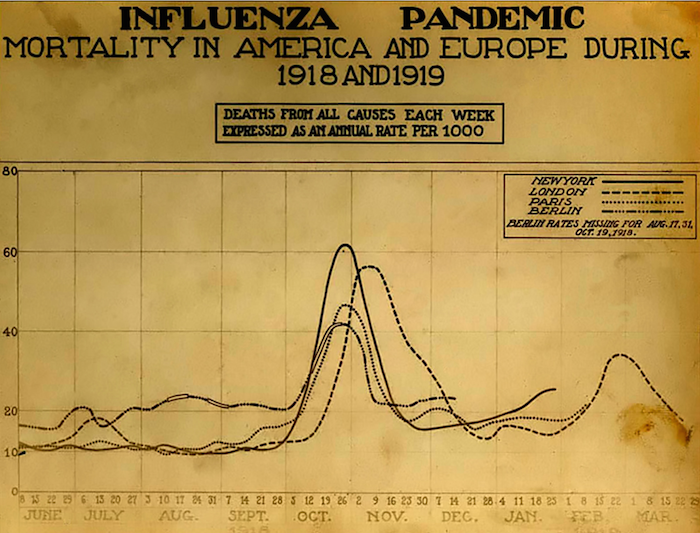 The faculty suggested that we build our instruction sessions on a paper about the economic outcomes of people born during the 1918 influenza epidemic in the United States. We selected this article because it relied on IPUMS data, a commonly-used data set in this course; the article outlines a common type of econometric study; and it demonstrates to students that you can use econometric methods to examine aspects of public health or other social concerns. Was a person in utero during flu epidemic? Were they living in a state with a high incidence rate of flu? What were their life outcomes compared to people born in states where the flu illness rate was lower? What were their life outcomes compared to people born right before or right after the pandemic? Following that discussion, the librarian and students talked about how to get into the IPUMS dataset and how to translate plain English questions into identifiable variables in IPUMS. The instructional technologist visited each class twice: once to teach the students how to use Stata, and once to work with them on IPUMS data. In both sessions, students not only received basic Stata training, but also were required to do hands-on work in small groups. All the examples in both sessions used data identified in the influenza article, maintaining a common thread throughout the sessions to maintain student comprehension. As a result of this new approach, we saw enhanced student engagement during class. Coordinating our efforts allowed us to give the students a cohesive message about approaching questions quantitatively, while making the learning process more interactive. http://dx.doi.org/10.1371/journal.pbio.0040050. Licensed under Public domain via Wikimedia Commons. "Influenza A - late passage" by CDC/ Dr. Erskine Palmer - Centers for Disease Control and Prevention's Public Health Image Library (PHIL), with identification number #280. Licensed under Public domain via Wikimedia Commons.